Sands Point, New York Doctor William Levine is one of the few certified podiatrists having received advanced training in aesthetic podiatry, Dr. William Levine, D.P.M. targets foot discomfort with the very latest technology and the least invasive techniques to optimize your care. He is dedicated to restoring appearance and quality of life. When he practices healing he treats the entire person, not just the foot. And because each diagnosis is unique, he customizes a treatment plan to fit the patients specific needs. 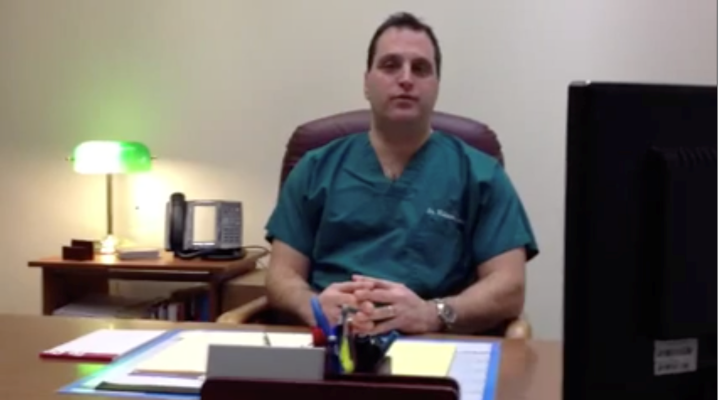 Dr. Levine currently resides in the Manhasset, New York area. As a young child growing up in Queens, NY I developed an interest in math and science. I was a good student and I got high marks. A close family friend was a podiatrist and my youngest sister had a benign nerve growth called a neuroma in her left foot which required surgical removal when I was in high school. This is what first piqued my interest in the field of podiatric medicine. I was always athletic playing tennis and soccer growing up. I was also on the wrestling team in high school and I was good enough to make the citywide tournament. I attended Binghamton University and took the pre-med curriculum of maths and sciences. I also started to research for my future career and found that podiatry was an excellent field with the ability to treat a wide range of pathologies such as the diabetic foot, plantar fasciitis and heel pain, skin diseases such as corns, calluses, warts, nail fungus, and lesions, corrective and cosmetic foot surgery to repair bunion deformity, hammertoes, sports podiatry with the use of corrective custom orthotic devices as well as sports and runners injuries and optimization. The lifestyle of the podiatrist was also attractive since most conditions do not require hospitalization so at the end of the work day you can enjoy your family and free time. I make the most money from surgery which takes years to perfect and develop the expertise. It takes a few years to become profitable since you are paying off your practice purchase price loan, or the loan to open a new practice, student loans and overhead of your business. Practicing medicine is also running a business with all the inherent expenses like payroll, rent, insurance, utilities, fees, permits, transportation, supplies, etc. The bottom line is always there and a certain amount of income must be achieved to cover business expenses and also make a profit. There is always some doubt in any venture. The medical field has changed vastly in the last 25 years. When I graduated and became a doctor HMOs were a fairly new phenomenon. The talk of socialized medicine was also heard frequently. The fees that doctors are paid have not always been the same or as lucrative as in the past. Also, some procedures that used to be covered by insurance companies may not be covered now. In order to succeed a doctor has to adjust and sometimes work harder than one had anticipated. The amount of documentation and time spent with approval of a procedure has turned into an unfortunate but necessary part of practicing medicine today as well. My first job as a podiatrist was with a group that had several offices. As a new hire, I made a salary and a bonus on my performance. The practice was up and running for years with locations in Manhattan, Brooklyn, and Long Island so there was already a nice patient population in the practice, as well as referrals from other doctors and specialties, word of mouth, and the practice did a fair amount of marketing as well. I have advertisements in local newspapers. I do health fairs where I can speak in public and make a nice human connection to potential patients. Today the internet and online presence is key to getting your practice out to the public and getting new patients. I also like to visit other doctors and specialists in the area that we can cross-refer to. I have made speeches as neighborhood clubs like Kiwanis and Rotary. Handing out fliers on a busy city street is still an old tried and true way to advertise as well. I had to close down one of my locations as the lease renewed and the rent increased more than I was comfortable with. I am a people person. I feel comfortable talking and relating to all walks of life. I enjoy connecting with a deeper level with my patients. I also find that an educated patient is happier, appreciates you more as a clinician, and gets a better result. Learning about other cultures is a nice side benefit of practicing in New York City. I have a good sense of humor and try and have fun with patients when appropriate. I’m not sure I can pinpoint one specific moment as most satisfying. I have discovered suspicious-looking skin lesions on a patient that I biopsied and discovered they were malignant so I feel I may have saved their limb and perhaps life. Treating patients with diabetic foot ulcer successfully and avoiding gangrene and amputation is very rewarding. I have helped runners work through tough injuries like shin splints and heel spurs. When a patient comes into your office in pain and discomfort and they can walk out with relief and a smile, as a podiatrist you really feel a sense of accomplishment and know all your studies and hard work is worth it. Who Moved My Cheese. Think Like An Innovator. Do The Work. The Tipping Point. A new laser for treatment of nail fungus or onychomycosis. I have been working with another colleague who does a less invasive bunion surgery with virtually no pain or scarring postoperatively. I am excited about the potential of this newer technique. Radiofrequency surgery for the treatment of heel pain and plantar fasciitis is very exciting.